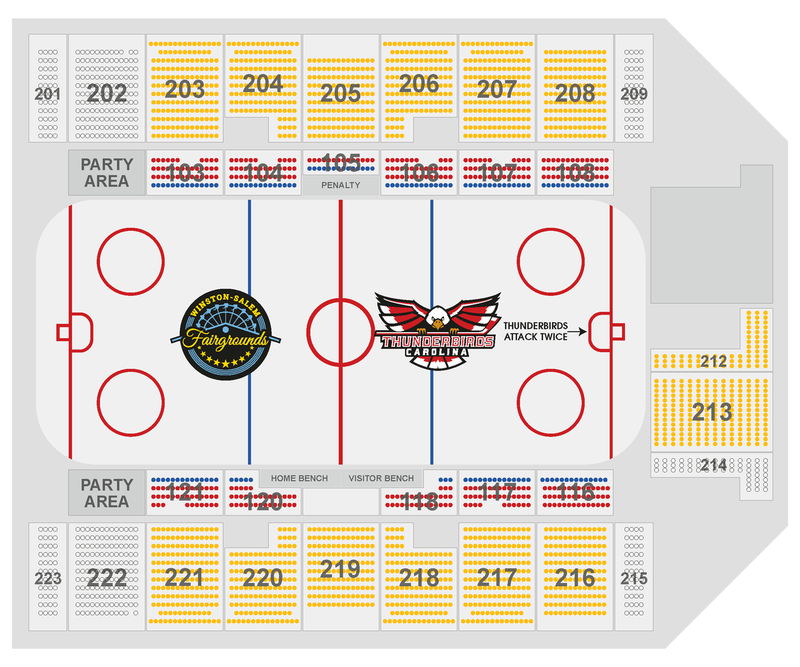 The Carolina Thunderbirds are the Triad’s Area newest Professional Hockey Team, and we have created several ways for your family, friends, employees or yourself to enjoy all the action. Season ticket members receive numerous benefits and guarantee you the same great seat, plus no waiting in line on game nights at the ticket counter. Please check out the plans below. 2019-2020 Season Tickets are available for purchase! Please call 336-774-4625 for more information. 19-20 Season tickets will go on sale to the public April 5th 2019. Current season ticket holders have till March 15th to April 5th to renew their seats. Full Season Tickets will start on sale April 5th and Half Season ticket holders will be on sale July 8th 2019.